After a whole lot of issues with her ex-husband of which there’s even a pending court issue, Afia Schwarzenegger can’t hide her new boyfriend from the world anymore. On a sunny Sunday, one of the best places to be is the beach side with bae to relax and chill off the stress from the previous week. 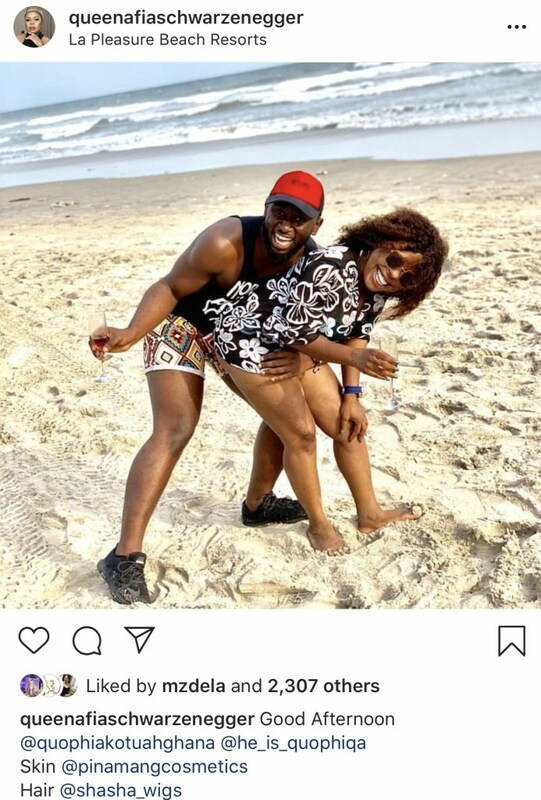 Afia Schwarzenegger in series of posts showed the world she’s got a good taste for men as she uploads photos of herself and this new man having fun at the beach.